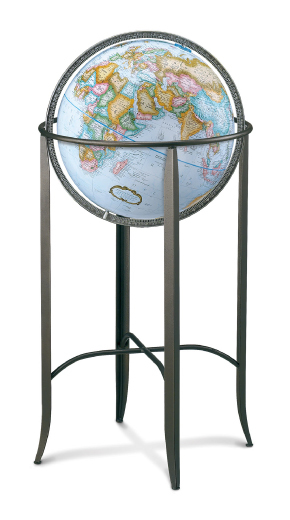 The Trafalgar Floor Globe from Replogle features a modern metal stand that complements a range of decors. The clean lines and pewter finish give this globe contemporary style. Features classic blue oceans, colorful land masses and a full die-cast meridian. The Trafalgar Floor Globe is backed by a one-year warranty.